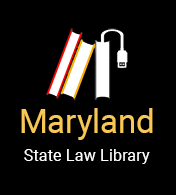 The Lawyer Referral and Information Service (LRIS) is a public service of the Anne Arundel Bar Association that makes it easy for you to connect with a lawyer possessing experience in the area of law related to your legal concern. The AABA LRIS meets the American Bar Association standards for lawyer referral services. Many people delay in consulting with a lawyer because they are not certain whether they actually need a lawyer or because they are not sure who they should call. Our Lawyer Referral and Information Service is here to help you determine whether or not you need a lawyer, and to help you find the right lawyer to assist you with your legal concerns.